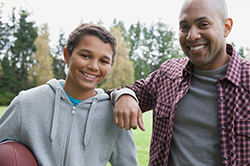 Offers residential care for up to 8 young men, ages 18-24. Staff assists youth in setting goals and doing what needs to be done to get established (school, job, etc.). Program is part of the Aunt Martha’s and is funded by HUD.